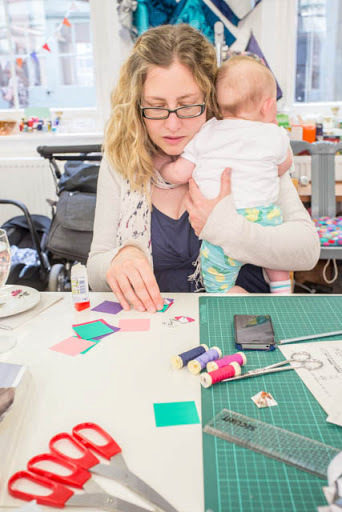 New mamas don’t have a lot of time for themselves, so we’ve put on this monthly drop-in session to give you a chance for some creative time without having to worry about preparing and clearing up, or sorting out childcare. 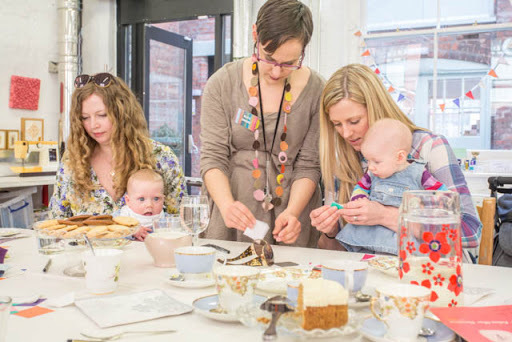 Young babies are welcome and the workshop is very flexible, so don’t worry if you have to feed or change your baby during the session, and we won’t throw you out if the baby decides to cry! We provide you with a kit and instructions so you can finish making at home if you don’t get done in time. These sessions are designed for beginner and improvers but all levels are welcome. 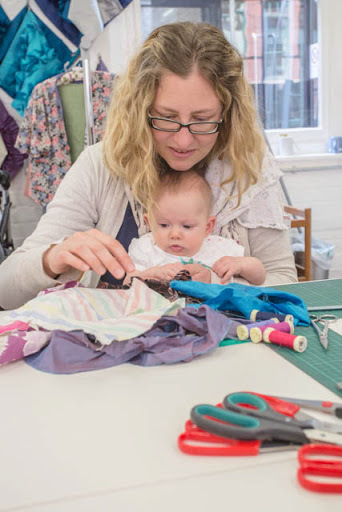 Workshops take place on the first Tuesday of every month at Ruth Singer Studio, Makers’ Yard, 82-82 Rutland St, Leicester, LE1 1SB. 10am-12pm. £18. Book online here. 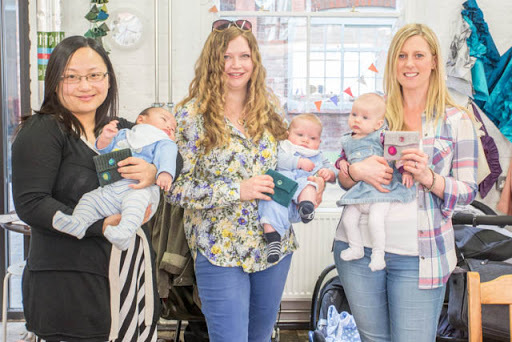 This sessions is aimed at parents with pre-crawling babies as the workshop isn’t safe for mobile babies. A sling might be useful so you can have both hands free to make. We have a few baby gyms and playmats for your baby and basic baby changing facilities. Please book in advance but if there’s a baby crisis, you can transfer your booking to the next session if you let me know on the day. Drinks and biscuits included. What about dads? I’m more than happy for dads to come with their babies but men are incredibly rare at any of my workshops so I have aimed this at mums. 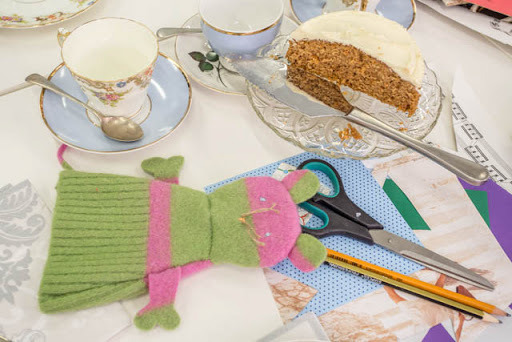 « Why learn to sew?